Groundhog Day activities for kids are a fun way to celebrate the occasion while teaching kids about the meaning of this fun day at the same time. Groundhog Day is celebrated each year on February 2nd. While some communities pay little attention to the significance of this day, others, most specifically Punxsutawney, Pennsylvania, take great strides to note the activities of a very famous groundhog on this day. 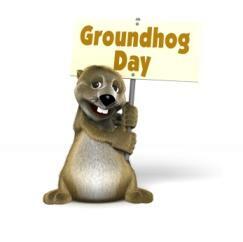 Groundhog Day's origins date back to Pennsylvania's early settlers and their beliefs regarding religion and nature. Legend has it that if a groundhog sees its shadow on February 2nd, there will be six more weeks of winter. However, if no shadow appears, then winter will soon be over, and spring will arrive early. The official groundhog is Punxsutawney Phil, and he resides in Punxsutawney, Pennsylvania. While the town of Punxsutawney celebrates Groundhog Day as a very special occasion, families all over the country can join in on the fun with a variety of Groundhog Day activities for kids. Create a story-Help your kids create the story of Punxsutawney Phil. Gather together art supplies, and encourage kids to tell the story, illustrating it with fun pictures of a groundhog. For a more high-tech version, create a free account on PhotoPeach. Kids can make a digital story in a matter of minutes. All they need to do is choose some pictures, or use their own, upload them to the program, add captions and music, and they will have created their own version of Phil's story. Watch a movie-Spend the evening watching the favorite film Groundhog Day, starring Bill Murray and Andi McDowell. Rated PG, Bill Murray stars as a weatherman who continues to live the same day over and over again. Hunt a groundhog-Not really, of course, but you and your kids can head into the great outdoors in search of whatever part of nature you can find. Tell your kids the story of the groundhog, and encourage them to watch the ground for groundhog footprints and look for groundhog burrows and holes. While you probably won't actually find a groundhog, your kids will love the feeling of adventure that the hunt gives them. Discover groundhogs-Visit your local library and check out books on groundhogs, ranging from informational guides to fictional stories. Surf the Web, and encourage your kids to find out as many facts about these adorable animals as they can, then have them share what they have learned with the rest of the family around the dinner table. Make a groundhog-Gather together art and craft supplies such as construction paper, scissors, glue, yarn, buttons, and anything else you might have on hand. Let your kids design their own groundhogs out of the available supplies. Kids can use the yarn for hair and whiskers, buttons for eyes and a nose, and they can decorate and color their groundhogs however they like. Encourage them to come up with their own name for the groundhog as well. The following websites feature a variety of arts and crafts ideas, interactive activities and puzzles, and lots of other fun things for kids to do. Education World features information on Groundhog Day, as well as games, map reading activities, prediction tables, and more. DLTK: from the toilet paper roll craft to coloring pages and more, kids will enjoy visiting DLTK's website. Enchanted Learning is another great site filled with awesome activities for kids to enjoy, including the pop-up groundhog puppet, groundhog mask, and numerous printouts. Groundhog Day activities for kids will teach your children fun facts about this special day and give them an opportunity to learn a bit more about America's history.